Following today's mostly cinematic PES 2016 E3 Trailer, IGN Spain has already revealed the first PES 2016 gameplay video. 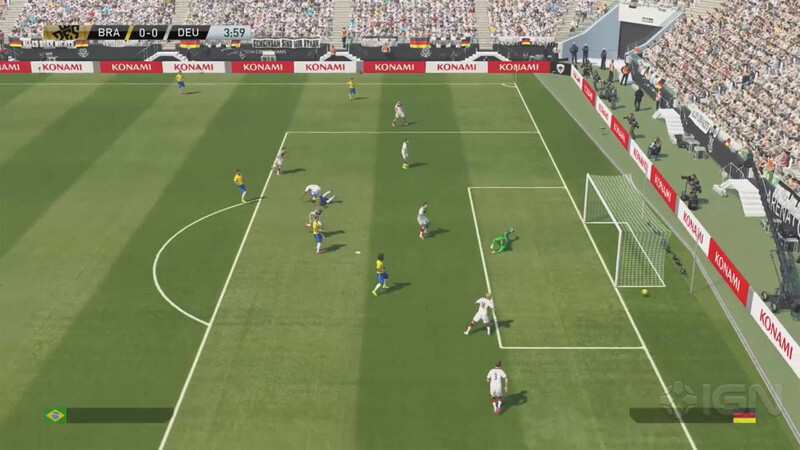 The one-minute-long video shows gameplay excerpts from a Brazil v Germany match in PES 2016, highlighting new features such as the improved ball physics and phisicality. Update (13/06/15): According to Adam Bhatti, the full PES 2016 IGN gameplay video will go live on June 16th. The announcement at the end of the PES 2016 gameplay teaser was apparently a typo. This is the first Pro Evolution Soccer 2016 gameplay video from IGN Spain. How do you like the first actual PES 2016 gameplay video? Drop us a line below.